Wow!! Amazing isn’t it? And to think that this structure is underground makes us like it even more. 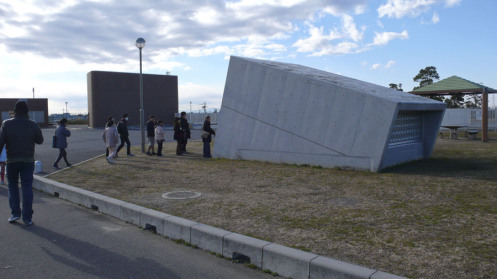 But what is the purpose of this huge facility? Surely not a set of a Hollywood movie as it looks super-expensive and the sheer size of it speaks volumes of its use as well. 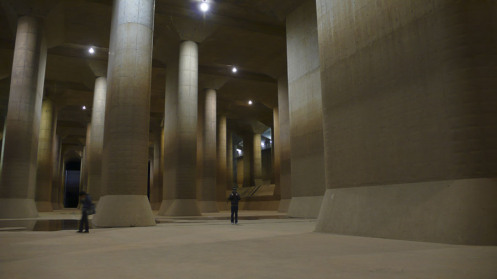 It is actually an underground pantheon hidden underground in the outskirts of Tokyo itself. 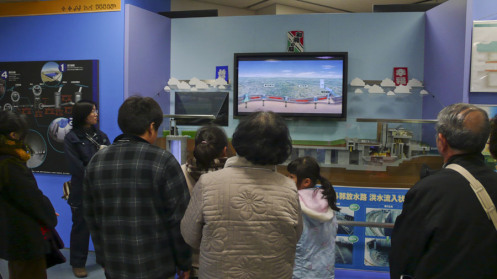 The historic city of Tokyo has been built on agricultural land and it is in the vicinity of the Tokyo Bay, so the ground has plenty of moisture and it becomes heavily water-logged in the monsoon season. 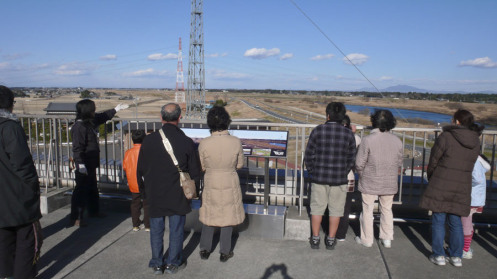 Initially when the construction was at some distance, there weren’t many problems faced by the citizens, but after 1950s massive urbanization was done on these lands and Tokyo became a metropolis and one of the largest cities in the world. As concrete replaced the fields of rice, it became apparent to the administration that the water drainage system of the entire city wasn’t merely good enough to cope with the astronomical amount of water released into the land in each monsoon. Each year, floods and typhoons, even though not too strong could create havoc in the city due to its vulnerable drainage system. In the 1990s, the problems escalated destroying thousands of homes each year. This is why the city government aimed to put this issue to bed once in for all. 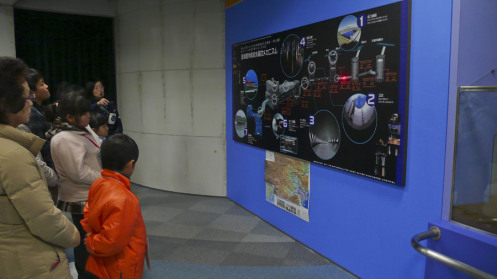 The mega project took more than 17 years and sucked in more than 2 billion dollars worth of Yen. But, now the robust system works very efficiently, displacing water at rapid speed. 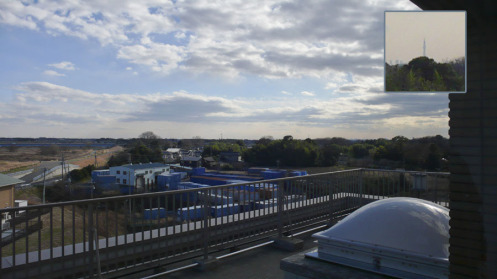 They are commonly referred to as “G-Cans” which is short for gesuikanaru o drainage canal. 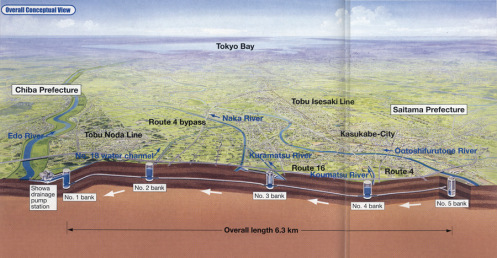 It is the biggest such canal in the world and the most awesome as well. 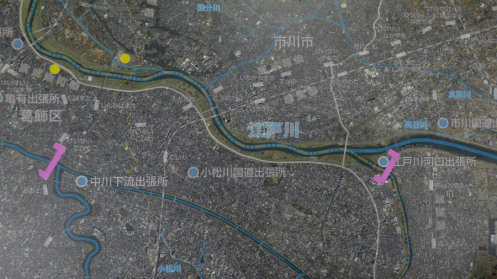 The main idea was to take the excess water away from the city before it could lead to any public loss. 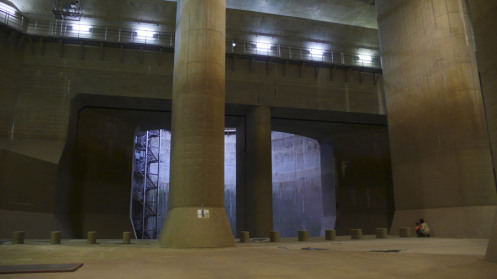 They just built a big drain, but the enormity of the entire setup is simply staggering! A series of 5 sinkholes have been sunk into the City’s ground. 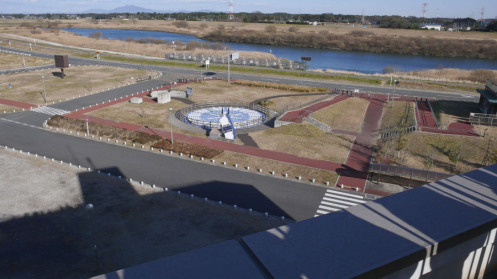 Their purpose is to safely drain water from the rising river levels. 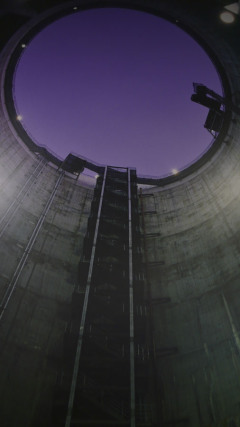 They appear like a huge rocket launch pad as they are 74 m in height and 32 meters in diameter. Simply put, they are big enough to hold two great space shuttles in themselves. In rainy days, thousands of liters of water makes its way to these sinkholes and flows into the next gigantic structure, a huge underground pipeline that takes water away from the main areas through a 6.3 Km tunnel. 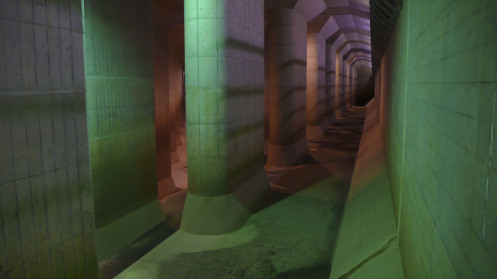 It has been laid 50 meters beneath the river basin itself, so it is a marvel in itself. 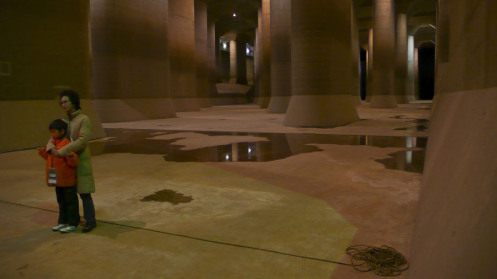 Afterward, the water reaches an enormous underground storage tank known as Pantheon. This Pantheon is what was shown to you before with its astronomical pillars and entrances. 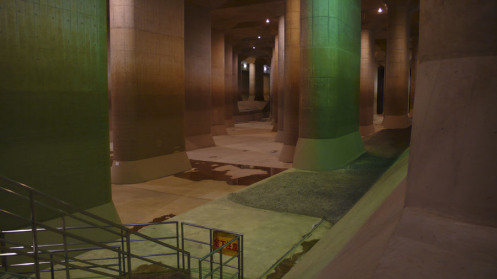 It is a subterranean reservoir that stretches a mammoth 180 meters long or about the length of two football fields and 18 m high. 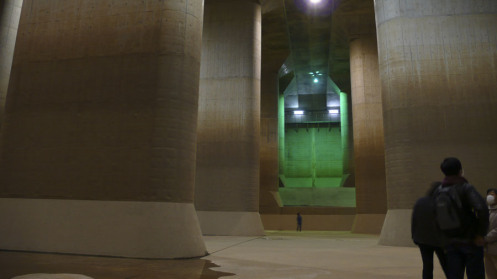 The amazing thing is that this is only the temporary storage of water as jet engine powered turbines pump the water up at 200 tons per second straight into the Edo River. The sluiceways themselves are huge enough to accommodate metro trains both length and width-wise. In a promotional program, you can have a tour of these massively engineered feats in the dry season especially in winters and get to know more about the whole thing. The administration shows animations on the working of the entire system. Now it’s time to see the giant itself. 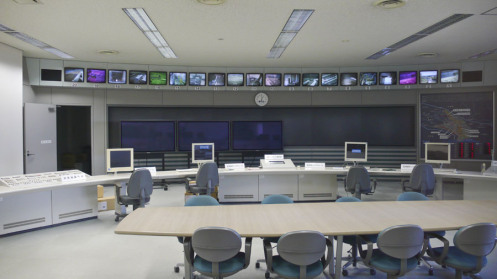 There is a state-of-the-art control room with twenty screens that help workers to monitor the whole situation. This is how it looks from the above. Doesn’t look that special does it? You can see the Edo River in this picture where the excess water is dumped from the city. 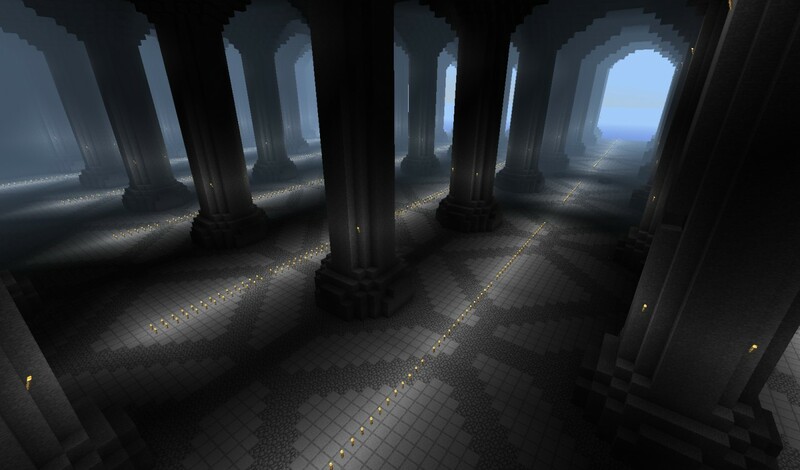 The underground pantheon, the giant structure lies beneath a football field! Looks like an awesome military installation to me preferably nuclear because of the apparent secrecy. 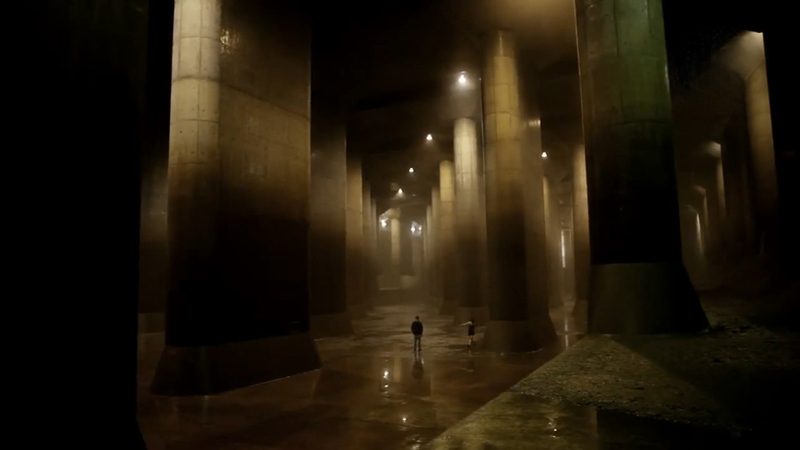 This concrete passageway into the beast itself speaks volumes of the setting. 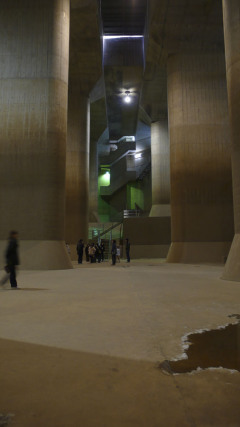 At the end of the staircase, lies the huge structure propped by concrete towers. Our jaws drop customarily. Look very similar don’t they? Any minute now, the dwarves and goblins could be upon us. Just look at the grandeur of this amazing place. A must visit place for civil engineers! People immediately start taking photos and try to get closer to the inlets and outlets, but they aren’t allowed to do so because of regulations. These images are only from less than half of its length. So, if you could visit the enormous structure, what would you do with the place? Try to achieve the loudest echo possible or have a run-chase in it? This is a marvellous engineering feat and deserves compliments. ok i need a wallpaper of it….3 monior version pls…. Have fun enjoying this Minions Paradise with unlimited Gold doubloons and Sand dollars.